This member of the Agavaceae family was described by Eizi Matuda in 1955. It is found in Oaxaca, Mexico. It prefers a well drained soil with little water and lots of sun. 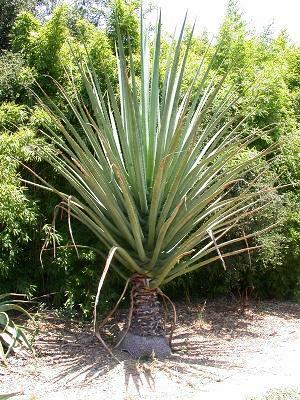 The plant can reach nine meters in height with a caudex 30 centimetres in diameter. The flowers are white, and the plant can be reproduced both by seeds and clones from the flower stalk.